With a heat wave covering much of the country, I am reminded of the Ice cream shops and trucks that all the neighborhood kids ran to in order to get the coldest and best ice cream. We had one shop that had the specialty of doing a double dip of the chocolate shell on the soft vanilla ice cream and it would be rock hard with chocolate covering all that ice cream underneath. 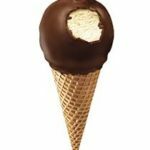 We would watch in amazement as the ice cream master would dip our cones into a bath of warm chocolate, wait a few seconds and then dipped it a second time. Surely, Willy Wonka had nothing on this ice cream maestro! As I reviewed this month’s FINRA disciplinary actions I was surprised by how many times FINRA double dips it’s punishment on firms and brokers. Apparently it’s not just for ice cream cones anymore. Several brokers received a substantial fine for a variety of reasons, and obviously we have no way of knowing all the evidence in the case. However, I have read where many brokers had fines levied against them for non customer related events and then were suspended in all capacities for 30, 60 even 180 days as well. In one case a broker was fined for failure to report a tax lien, but then was suspended from all activities for 3 months. Isn’t this double dipping the punishment? In some cases brokers who have large books of clients are prohibited from talking to their clients for months, even though they were already fined. Call me crazy, but how does this help the customer and protect them? Picture this: The stock market has soared the last 2 years and you have relied on your broker for advice for years to navigate various things like the financial crisis, housing meltdown and election fiascos and today, there is a tariff war between the USA and China, Turkey is causing a currency crisis and the markets are nervous so what do you do? You call your long time broker for advice and the receptionist tells you “He can’t come to the phone nor speak with you or respond to e-mails for the next 90 days”. How does this help the client, especially if the broker was suspended for non customer related nonsense? I’m going to guess that a customer who loses 20% of their portfolio is not going to take solace in the fact that their broker forgot to put a credit card lien from 1993 on his form U-4.